A digger, not a carpenter. 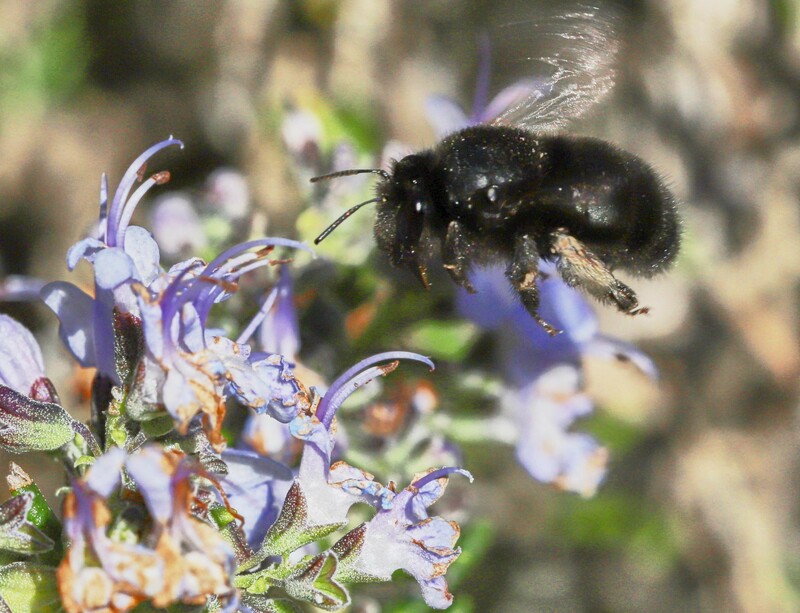 Last week I mentioned a large shiny black bee that visited my rosemary plants. In all my field guides the only large shiny black bees are carpenter bees, genus Xylocopa. Although there was a definite similarity, something wasn't quite right so I investigated further. With the help of some online friends and resources, I learned these bees are actually members of the family Anthophora, digger bees. So far, that's as far as I can get, identification wise. I was relieved to find this family digs in the dirt, not in the beams of my house. Calypso lures naive queens with a false promise of sweet reward. Next Monday, April 15, is a day I look forward to every year. 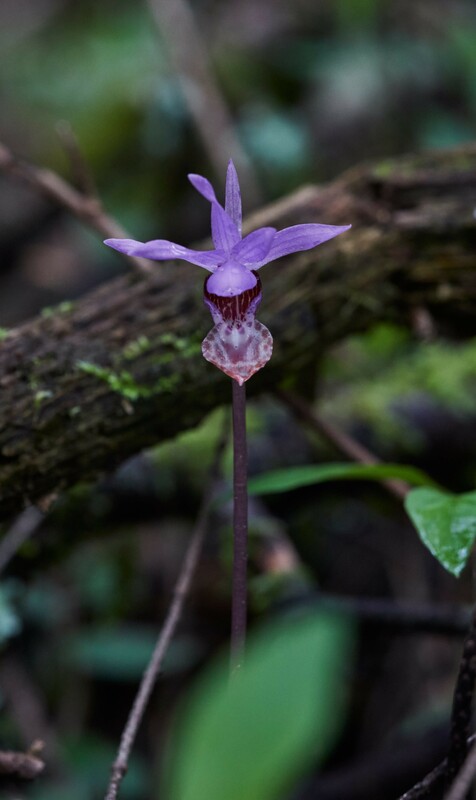 It's the day I mark as the day the fairy slipper orchids, Calypso bulbosa show up under my fir trees. These inch-wide flowers emerge every year about this time. A single leaf emerges from a marble-sized bulb and they produce a single pretty little flower. 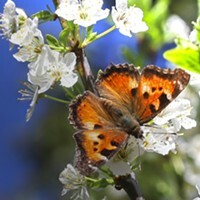 The literature says they are usually pollinated by naive bumblebee queens who enter the flower seeking nectar, which the flowers do not produce. 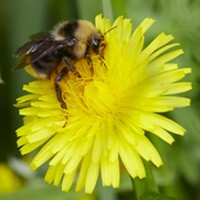 After several unsuccessful attempts, the bees learn and move on to more productive plants but, in that learning process, they transfer pollen between flowers assuring the next generation of dainty blossoms who will continue to dupe bees as they have for innumerable generations. Wasp-like markings offered little protection for this hapless hover fly. 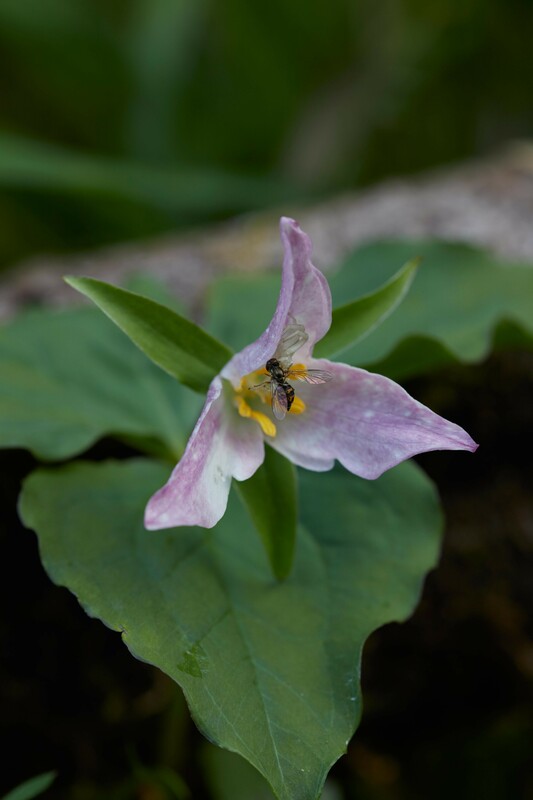 On the way back from my expedition to the land of the fairy slippers, I stopped to take a photo of a hover fly apparently dining at a trillium. 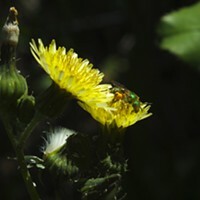 When I brought the photo up to review, I noticed the fly, whose wasp like markings offer it some degree of protection in life, had also been the victim of deception. 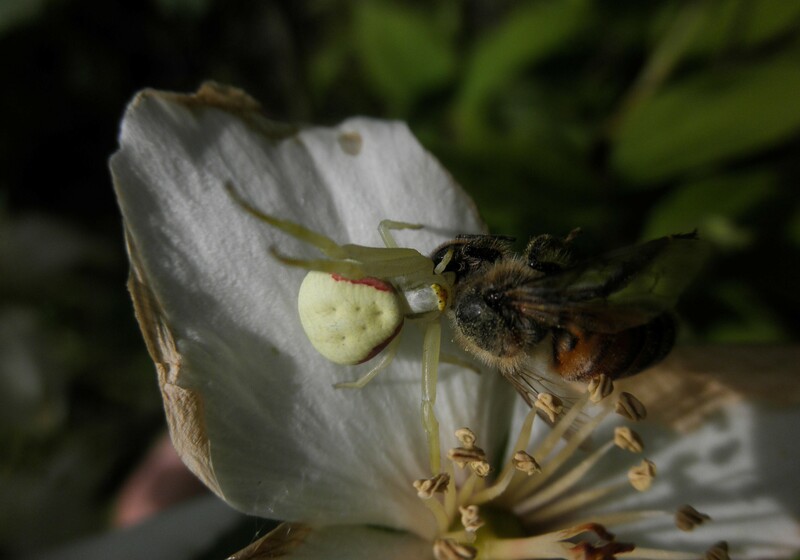 A flower spider (Thomisidae) was enjoying the product of its camouflage. These spiders lay in wait, hiding in flowers and readily eat bees and wasps, too. Crab/flower spider was not deterred by the deadly stinger of this honeybee.